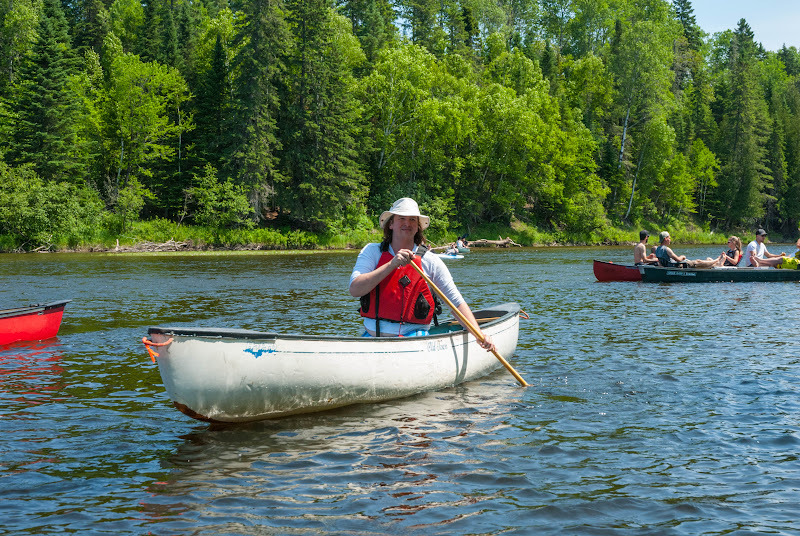 Canadian Canoe Routes • View topic - Fiddles on the Tobique! Of course Pic heavy! 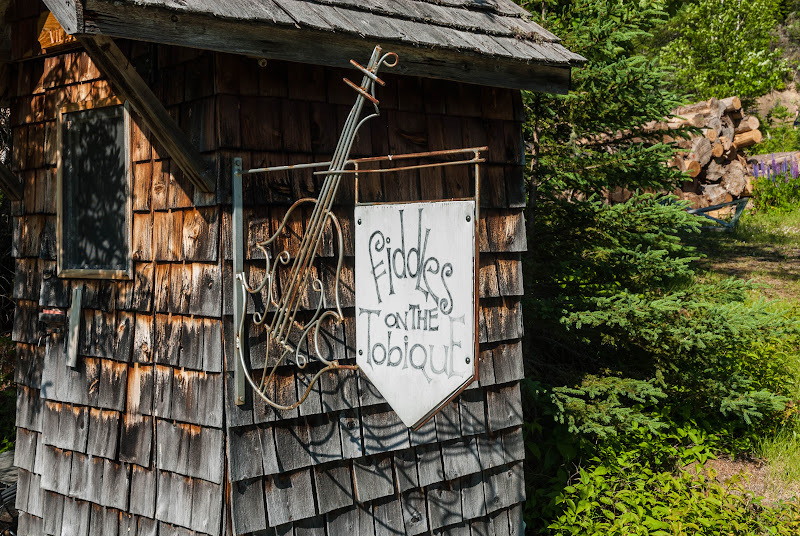 Fiddles on the Tobique! Of course Pic heavy! 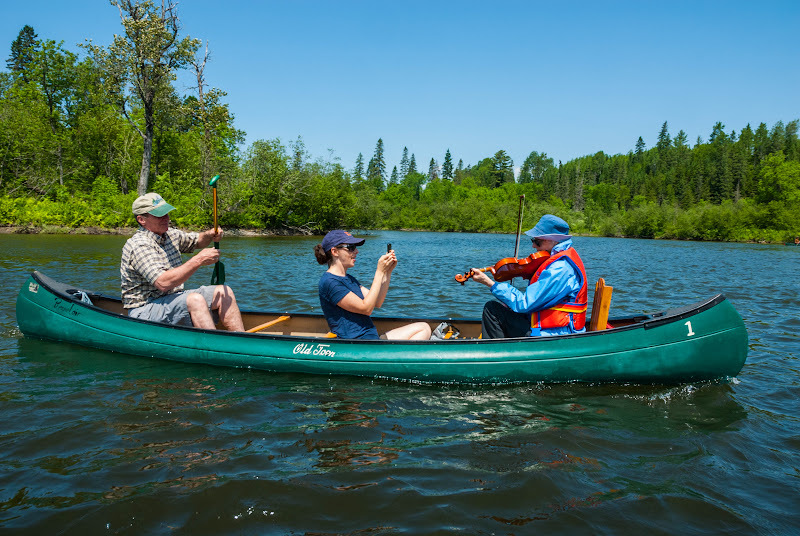 Post subject: Fiddles on the Tobique! Of course Pic heavy! 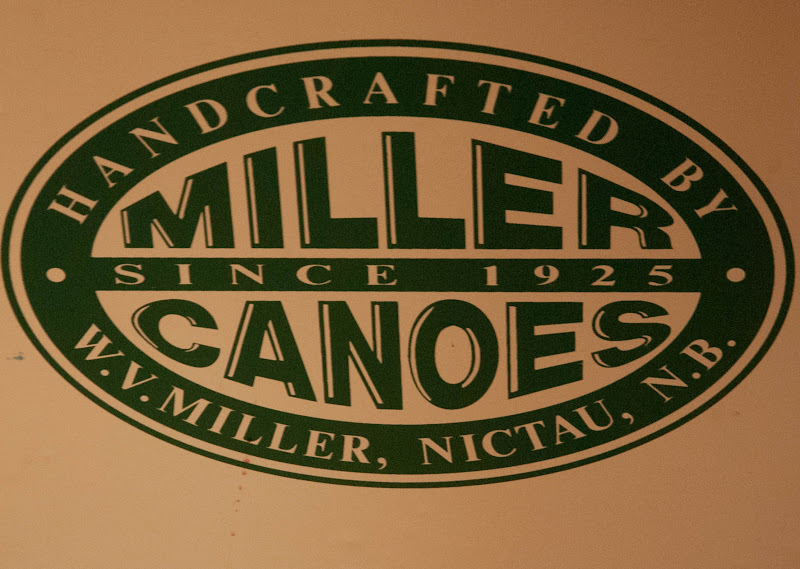 Location Tobique River, Nictau, N.B. 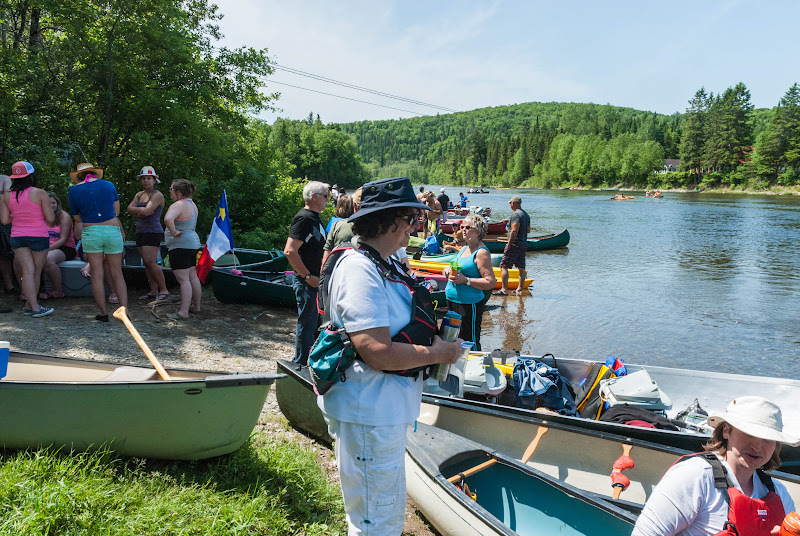 When I moved my sons belongings to Florenceville/Bristol New Brunswick last fall the first thing people said to me when they found out I paddled was that we had to go to “Fiddles on the Toque”, and it wasn’t just one person, which immediately spiked my interest. 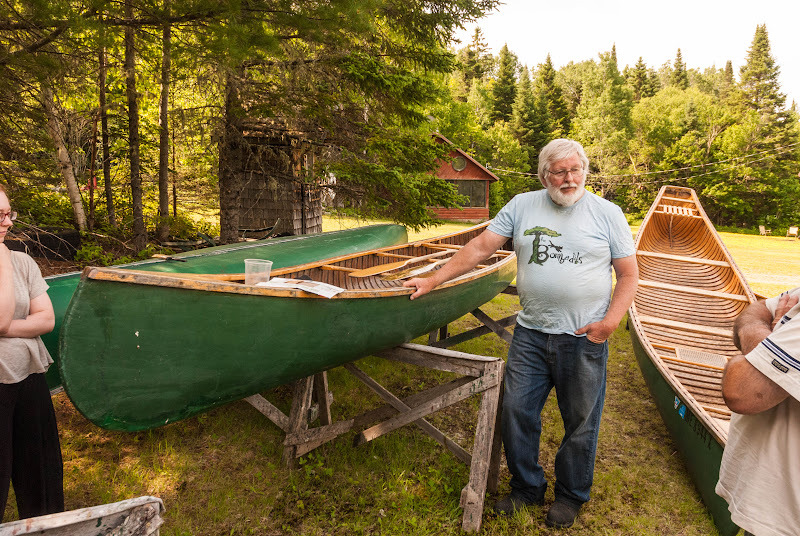 Being from Ontario I had never heard of this before so some quick research and questions here on MYCCR and I got a response that it was worth going to and I should also make a point of meeting Bill Miller, not only for the history around his family make caves canoes, but his love of outdoor photography. This lead me to contacting him through email and then starting to plan a trip. 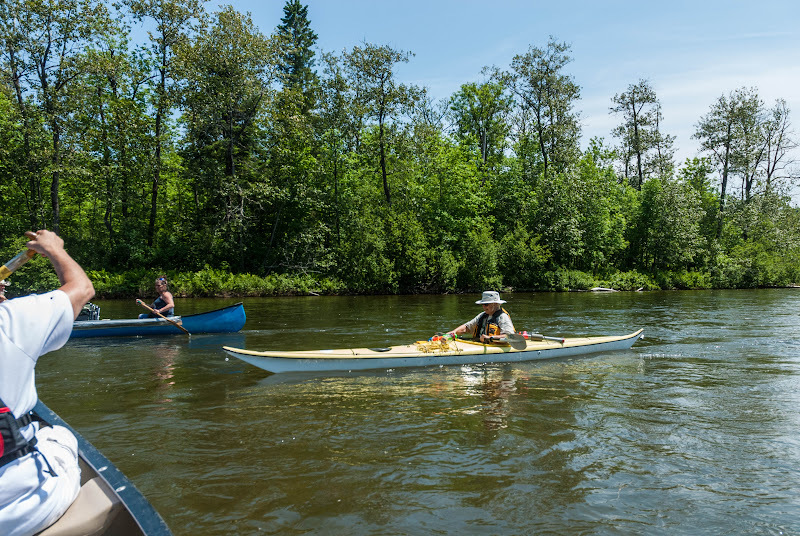 I really enjoy my river trips quiet and breathing in the river so I was somewhat apprehensive, especially after seeing some of the videos on line. But then there were others videos that really peaked some interest to see what it was all about. Bill gave us great directions to get there and what to expect. And the hospitality was amazing! I felt like a long time attendee, and I watched him and the others do the same to the other newcomers! What really makes this festival great is the whole weekend. 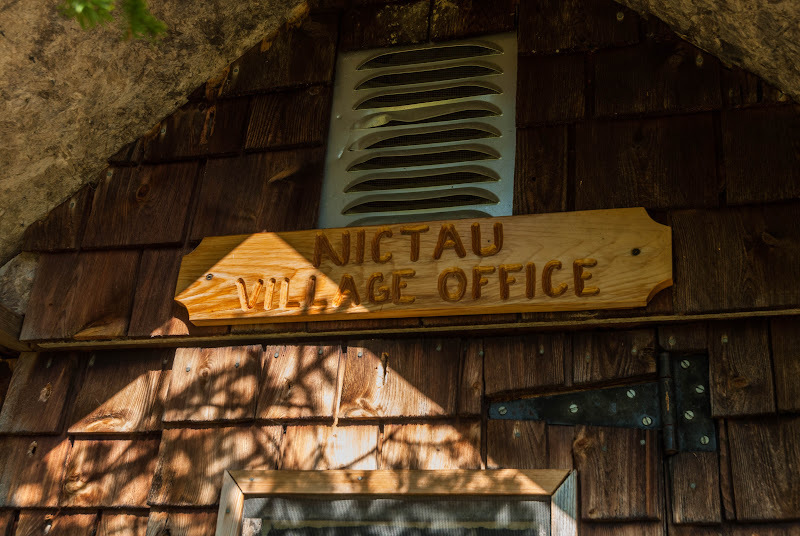 If you arrive on the Friday there is a great pot luck supper! And afterwards the Musicians get a great jam session going. Do to other commitments this year, some of the regulars where unable to make it, but we still had some great toe tapping talent! 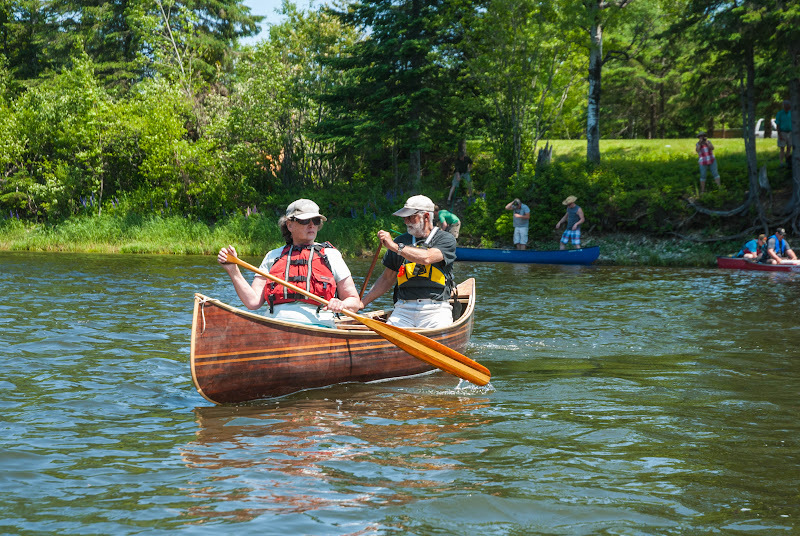 A 79 year old Lady who was coming for the first time, and it was to be her first time in a canoe, a 16 year old N.B. Fiddle phenom who is a long time attendee and a pair based in Ottawa called Honey & Mead. It was a great intimate evening! 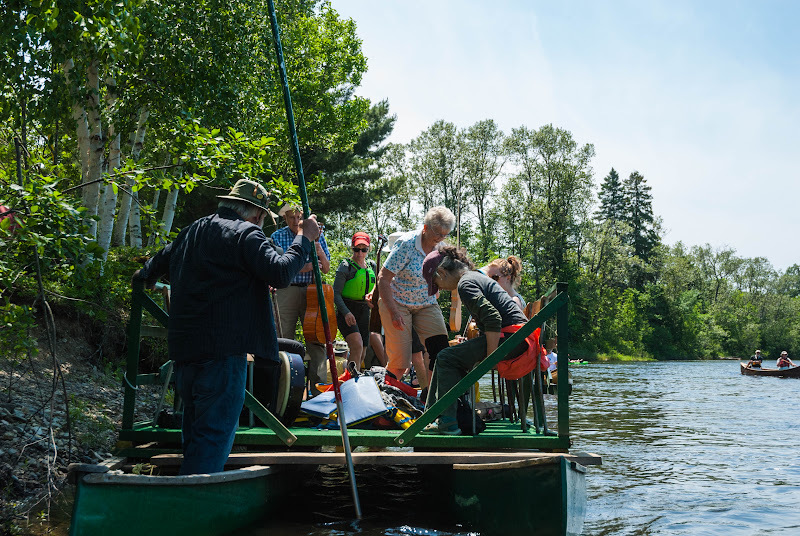 Saturday morning brought a little bit of work as we took the performing stage up to the put-in and tied it off before the hordes of recreational paddlers showed up. 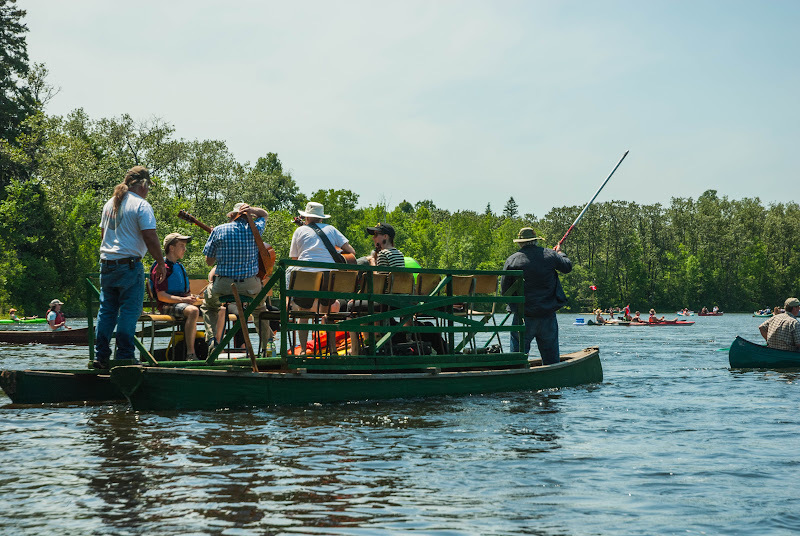 We sort of felt like royalty as our canoes where taken up and stored on top of the stage! 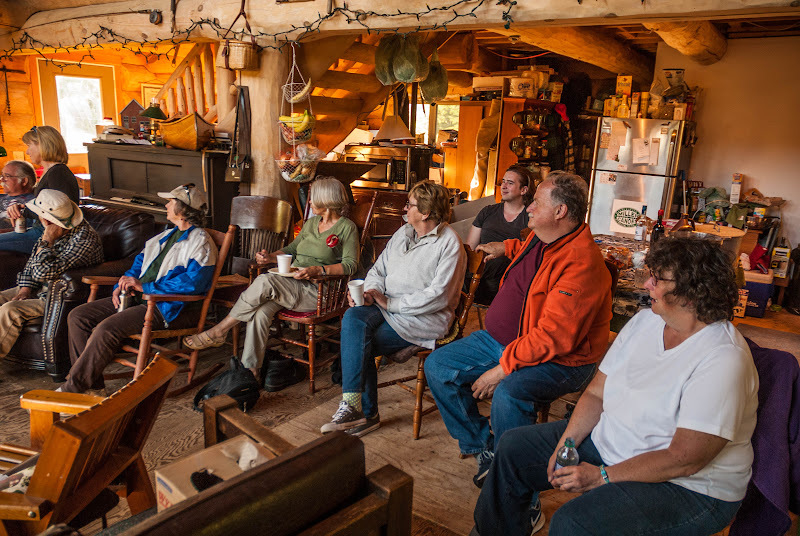 Back at camp a few more people had showed up at the farm to take in Bills’ annual tour of his farm and shop. 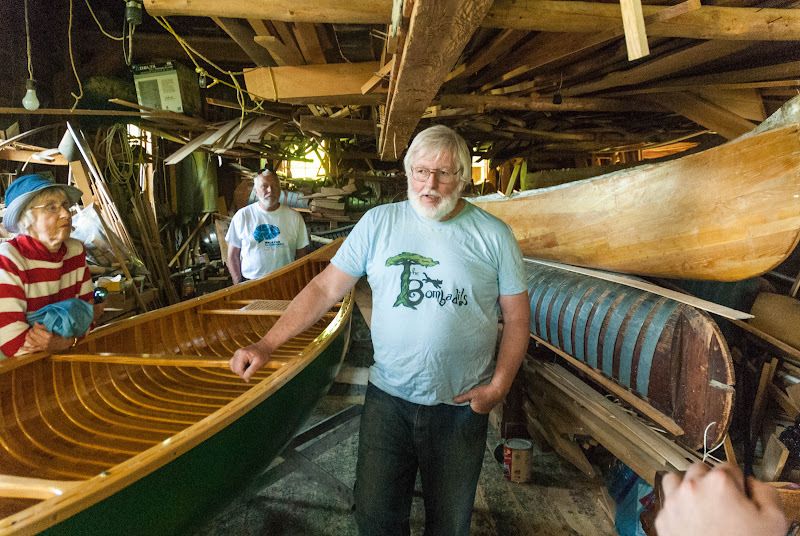 Bill holding court and showing off the very first canoe he made, lets just say the boat is almost as old as me…. Tour of bills shop and one of his current projects. 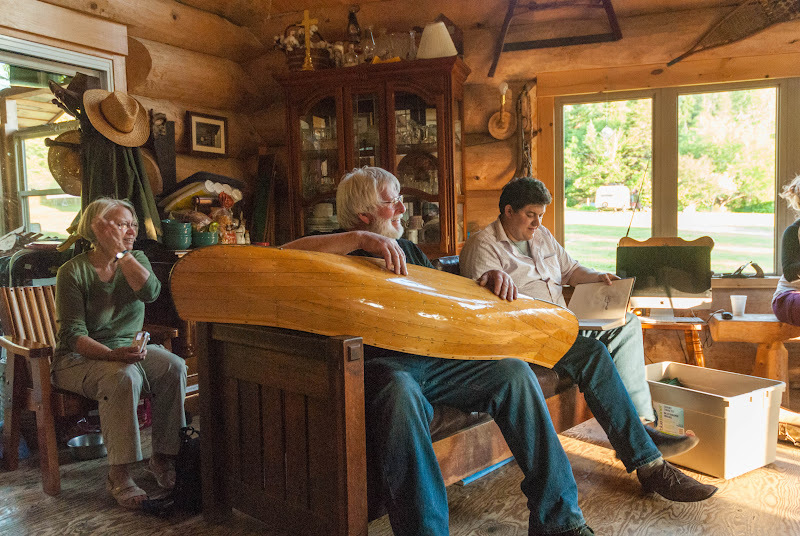 There is a lot of canoe history here! The numbers of the “official” boating contingent were down this year but still a good mixture of returnees and some very energetic newbies like us. What makes this event really incredible (and it is!) is the “other Stuff” that happens in and around the river. People actually sat in chairs where the river roads ran along side the river and watched like a parade! We actually picked up 2 guitar players and another fiddler from the shore on the way down. 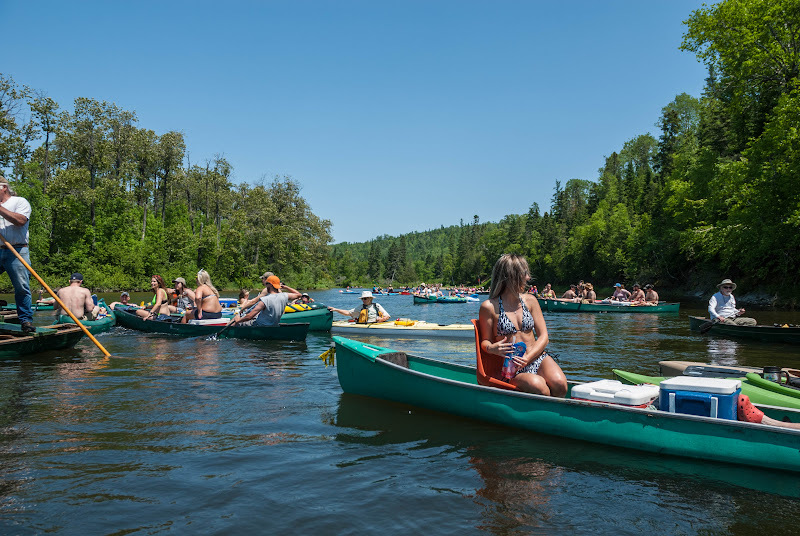 And then there is the “unofficial” contingent, hundreds if not over a thousand of every type of canoe/kayak floating down the river. From a river advocate view this is great! because it shows just how popular paddle sport is. We walked up to the put-in from Bill’s farm for the start and we got a taste of the river tortilla we were about to join. Last edited by jedi jeffi on July 18th, 2016, 3:55 pm, edited 1 time in total. 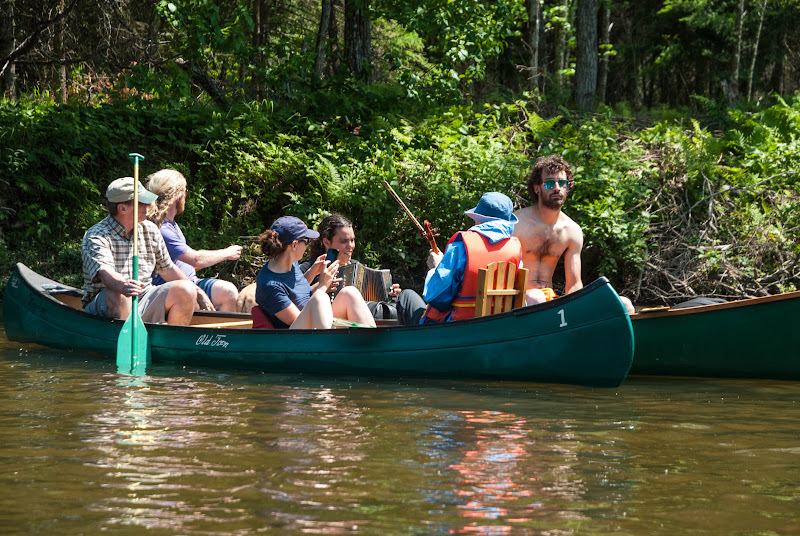 Post subject: Re: Fiddles on the Tobique! 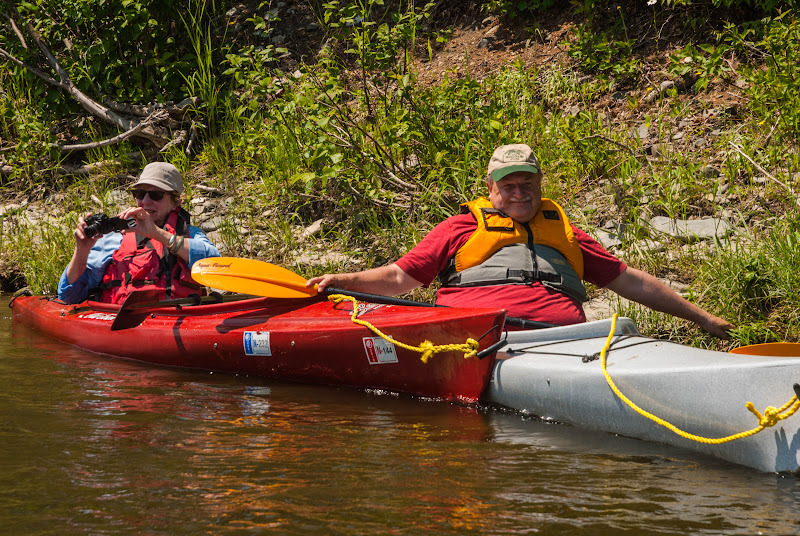 Various “official” paddling contingent members. Including Alex 1 of Myccr! I missed some because sometimes it was just too hard to get a clean pic of people. Tequila Island, giant party spot but they showed great respect, and turned off their music for the passing of the fiddlers and cheered them on. Jim watching over and in full control of the stage. A very special Mother/Daughter moment! There are more images of the musicians in the album check it out! This girl was really good and her music really played well with the river surroundings, but she was very shy! After diner we went to retrieve the stage and PJ and I got to pole the boat to a take out to bring the raft back, and it was a lot of fun. 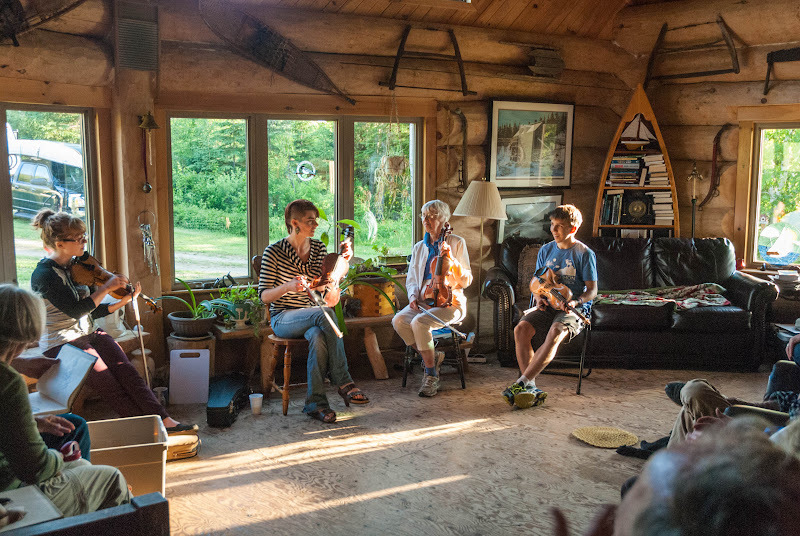 Back at the Miller farm, more great fiddle music! 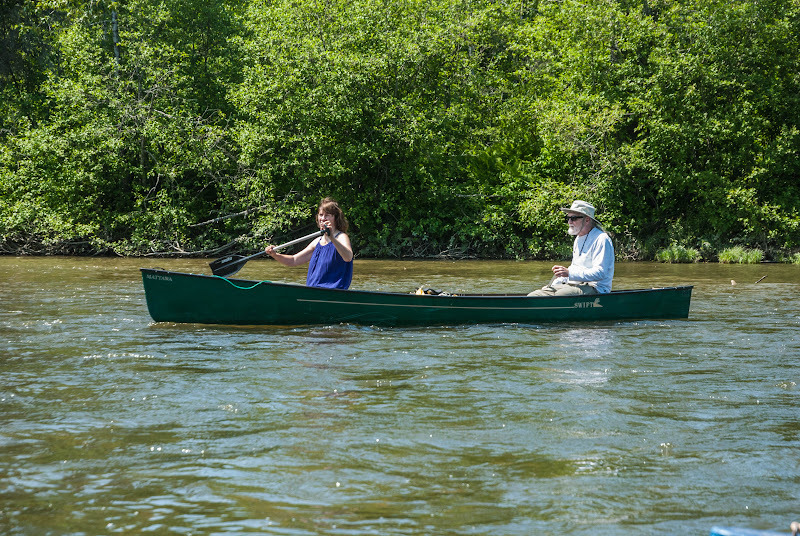 If you get a chance you really should visit Bill and have a paddle down this stretch of river. It is approx. a 11 kms long all very easy deep Class I, a great float through great country. 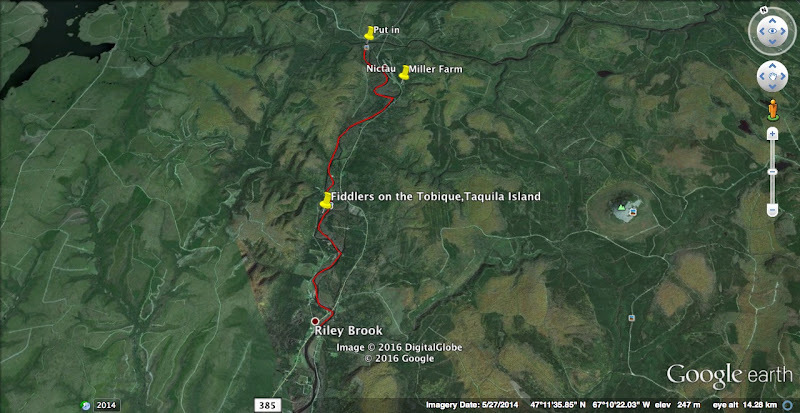 There is also great hiking in the area at Bald Peak, a place a plan to go to when I visit my son in the fall. Big question would I go back? 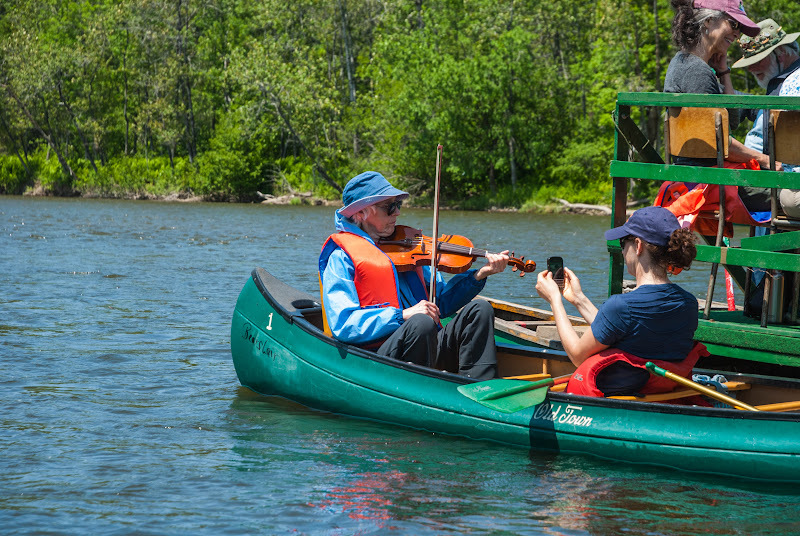 Certainly with the hope of having the privilege of having a musician in the boat. 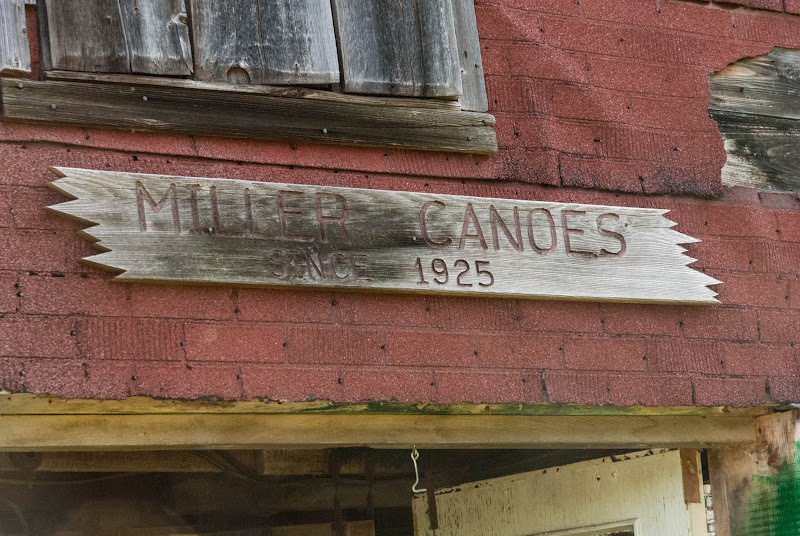 The Miller farm just oozes in canoe making history and if you are into making wood boats you should go! 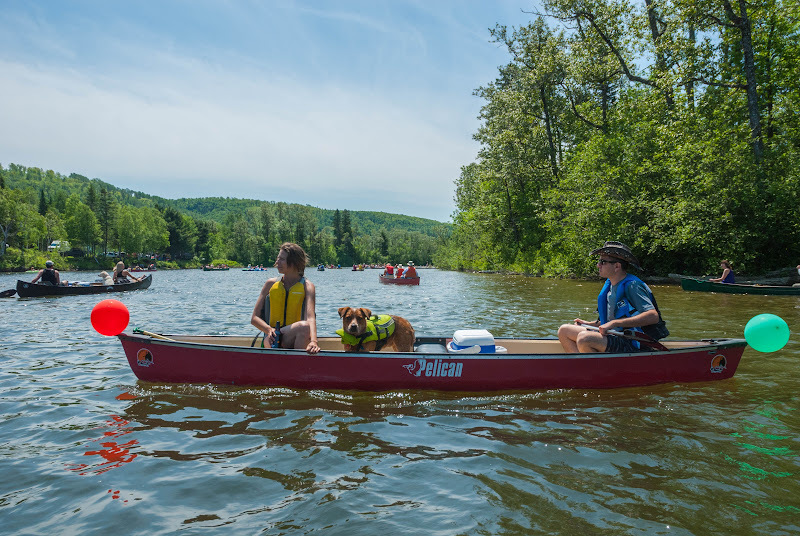 Post subject: Re: Fiddles on the Tobique! Of course Pic heavy! I'm really happy the inhabitants of Tequila Island turned off their boom boxes to enjoy the fiddlers going by. 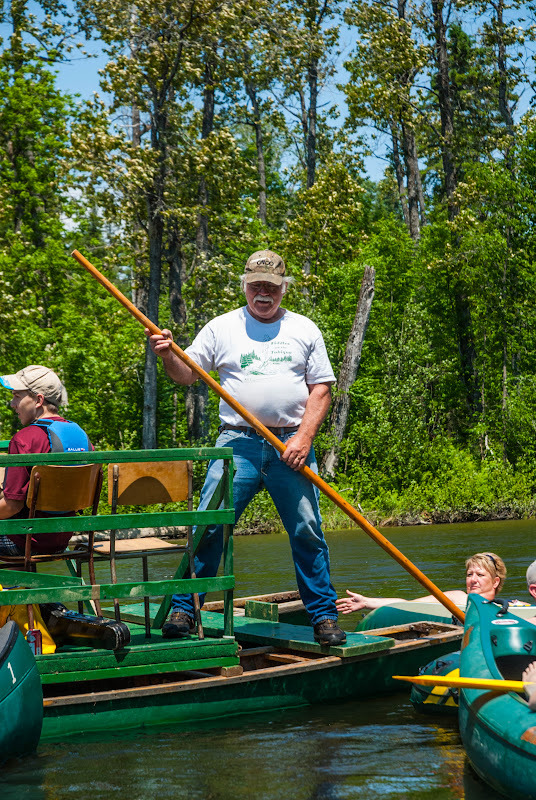 Some years ago they were rather loud on the river and their radios interfered with hearing the fiddles. So lets say that if you were among the visitors to TI, thank you. Bills workshop seems to be a mess but he makes beautiful craft. My husband now uses that ammo against me when I suggest he clean up his workshop..
How were the no seeums, Jeff? Some got bit really good. For the river trip it was very warm but with a real strong head wind that kept the bugs at bay.